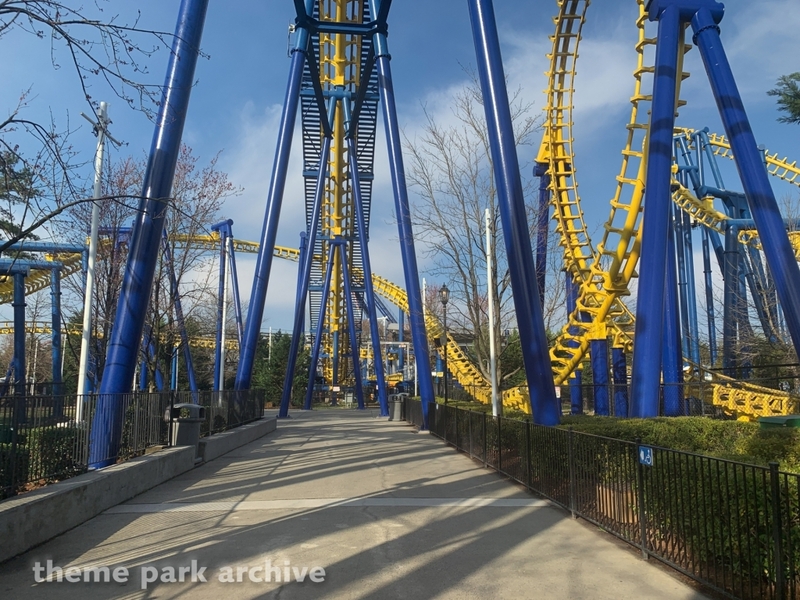 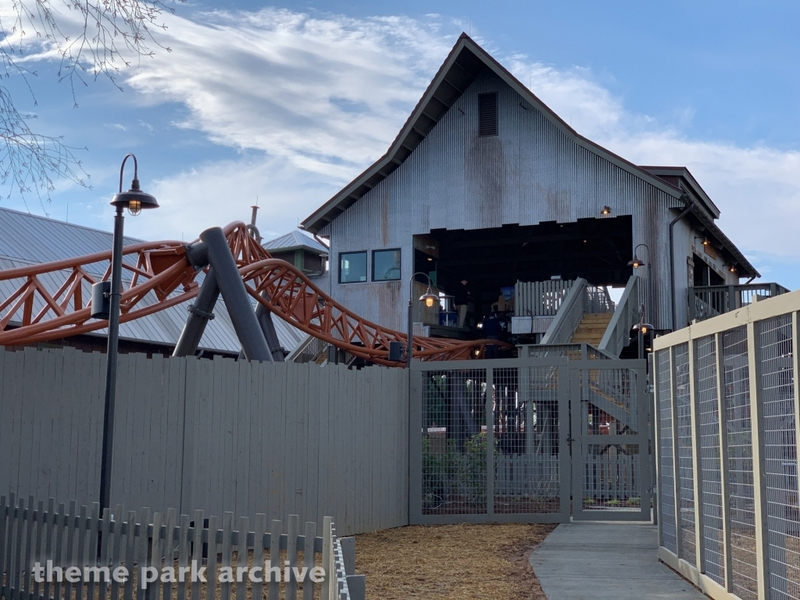 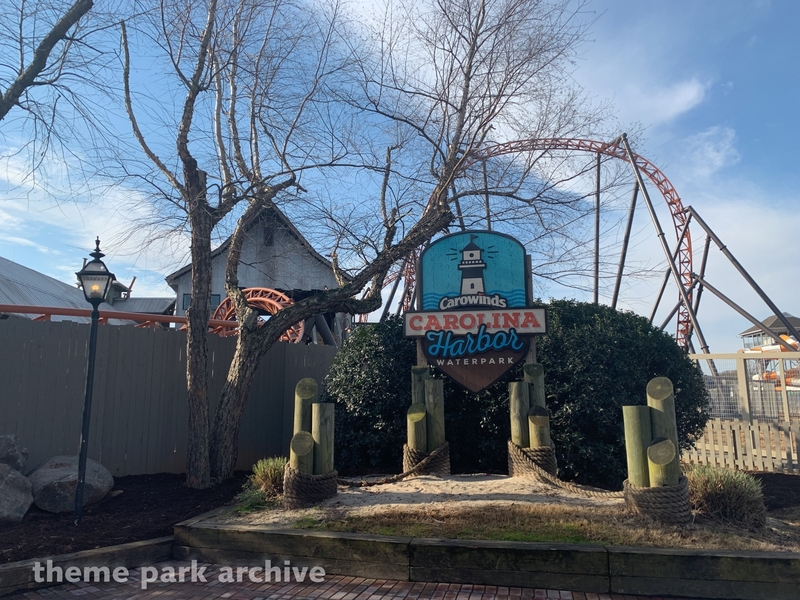 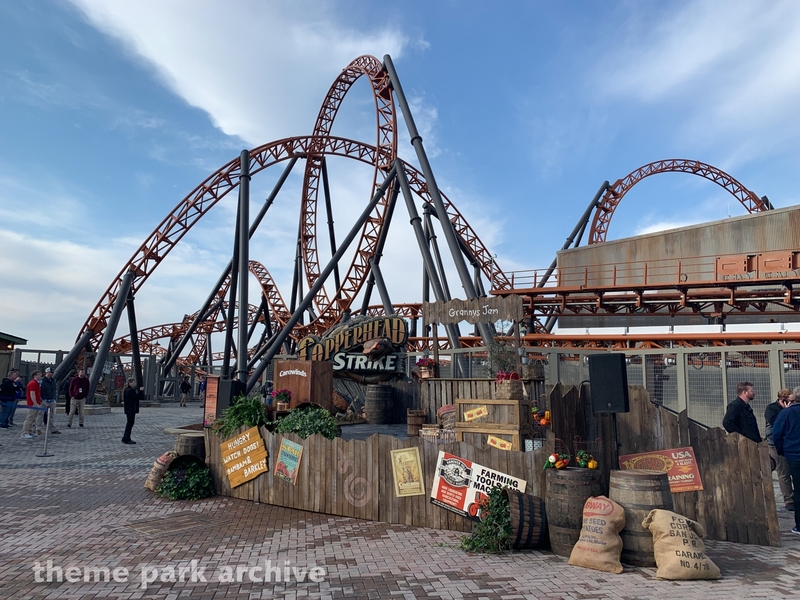 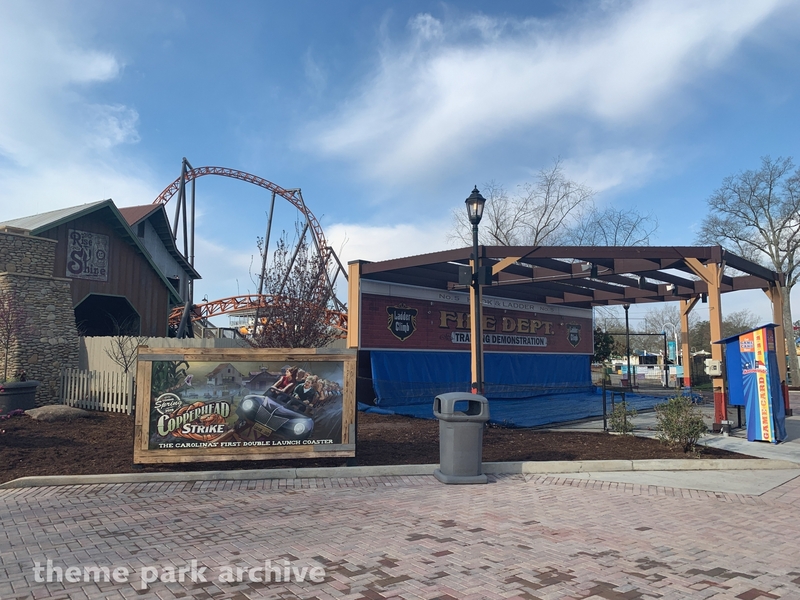 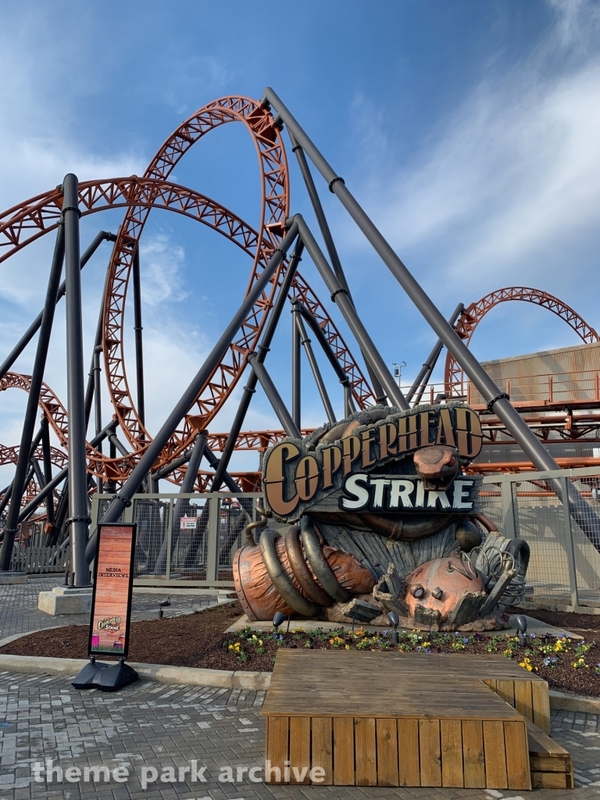 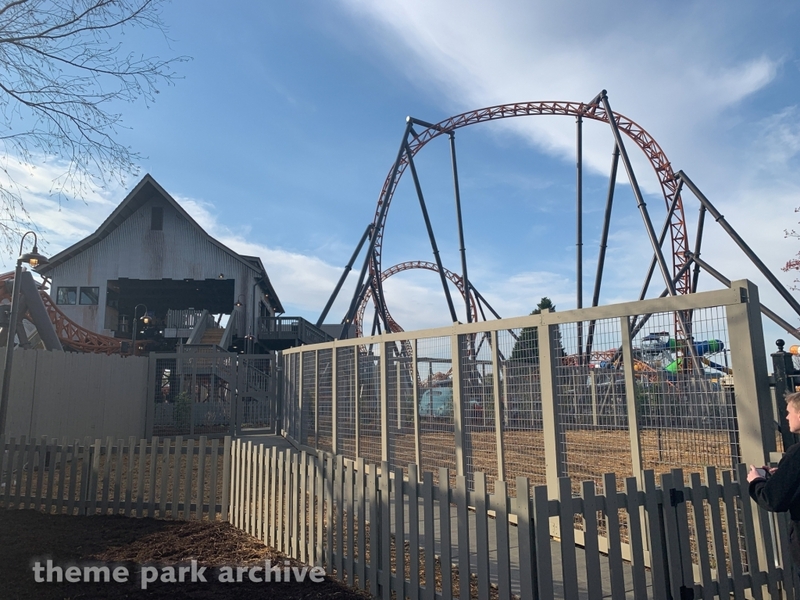 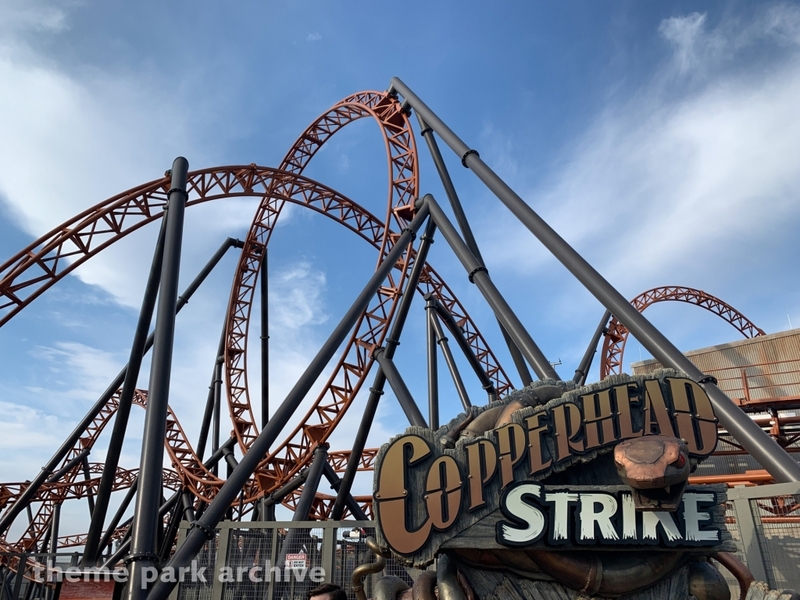 Carowinds hosted a special event to mark the opening of their new Mack Rides Looping Coaster, Copperhead Strike. 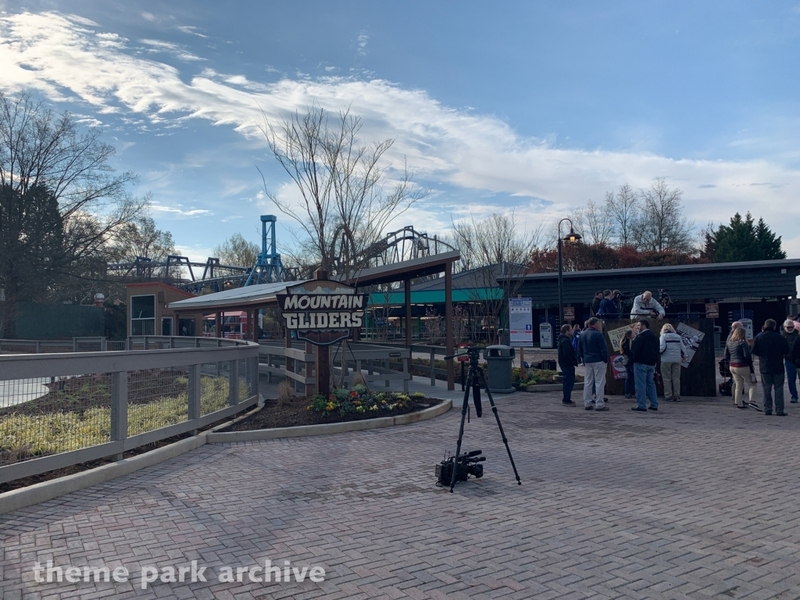 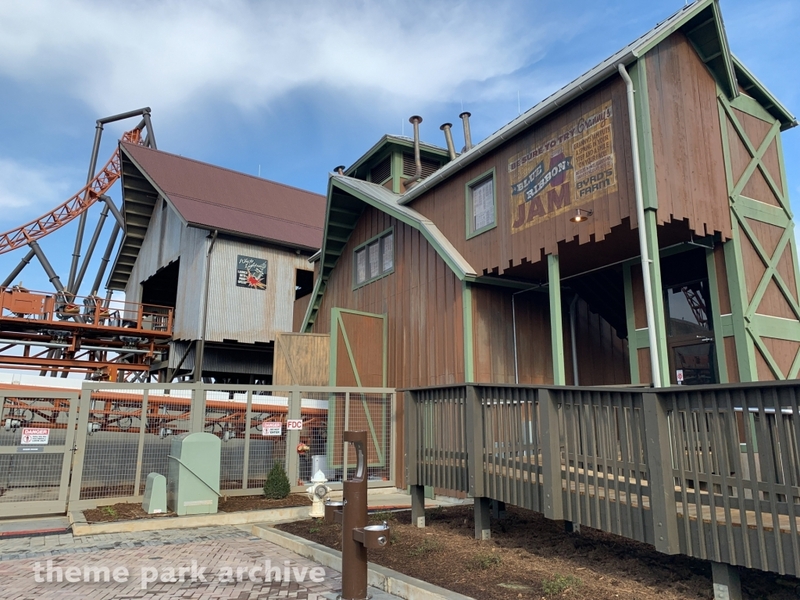 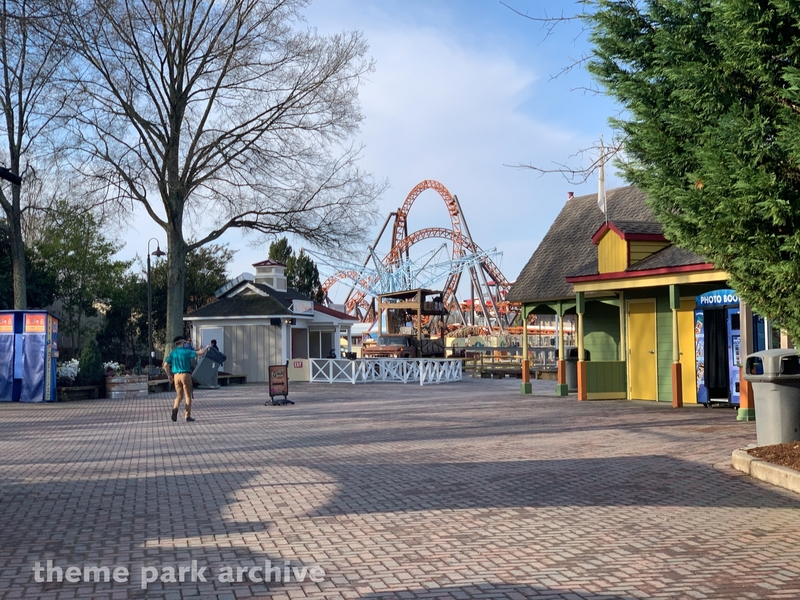 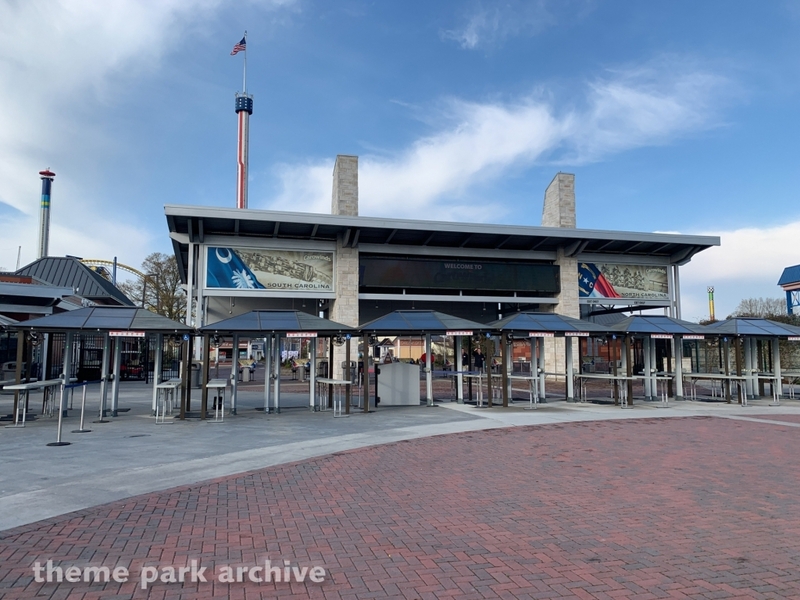 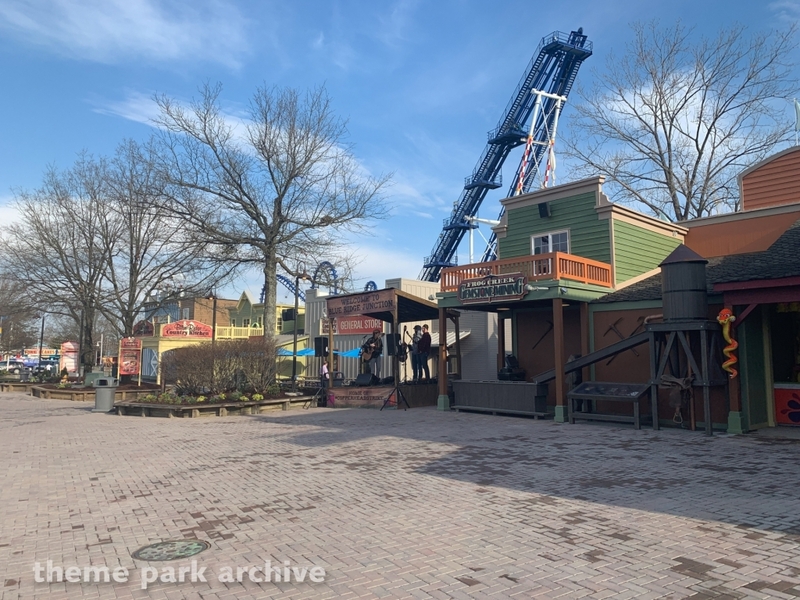 Prior to the ride opening, the park's president and media team presented brief remarks on the significance of this new addition to the park. 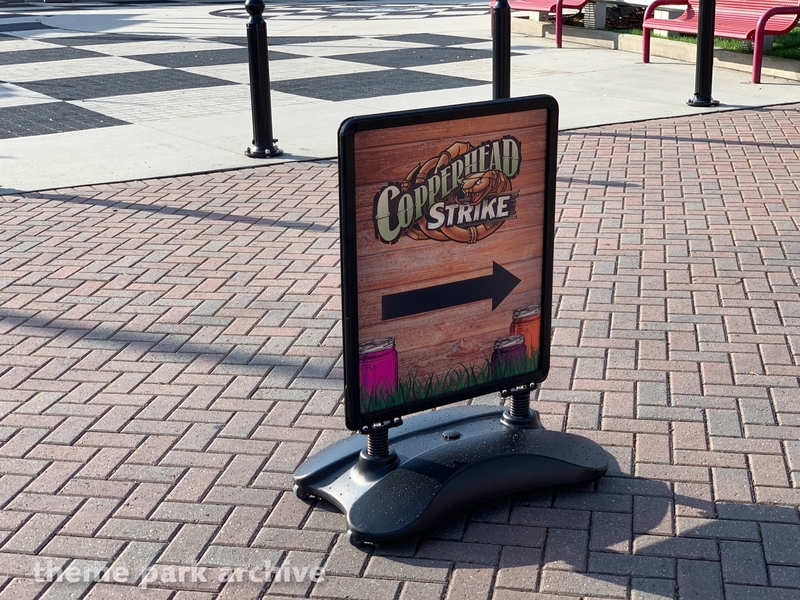 This new attraction is the largest single investment in the park's history. 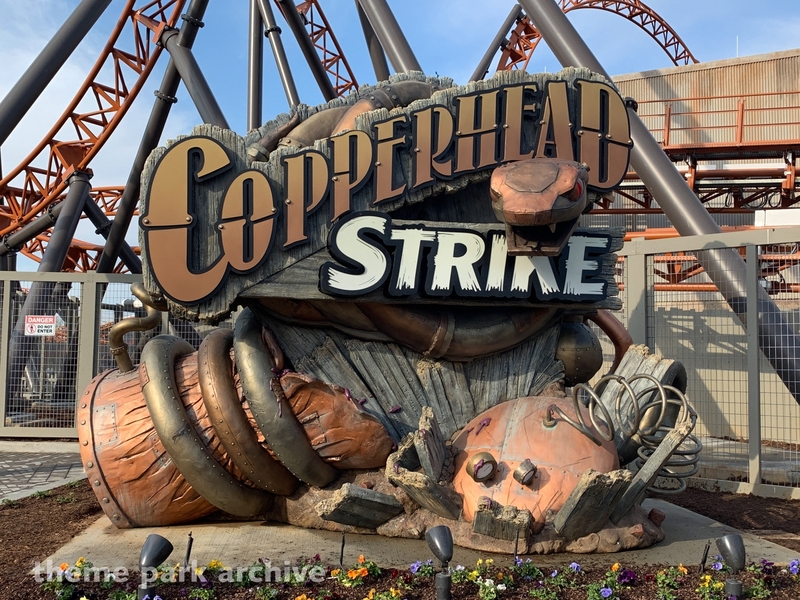 We made it for Copperhead Strike Media Day! 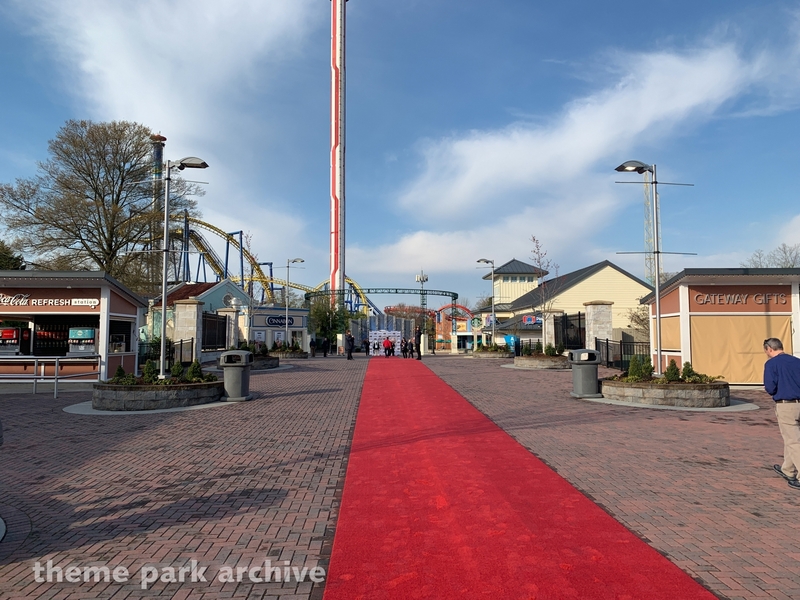 The park literally rolled out the red carpet. 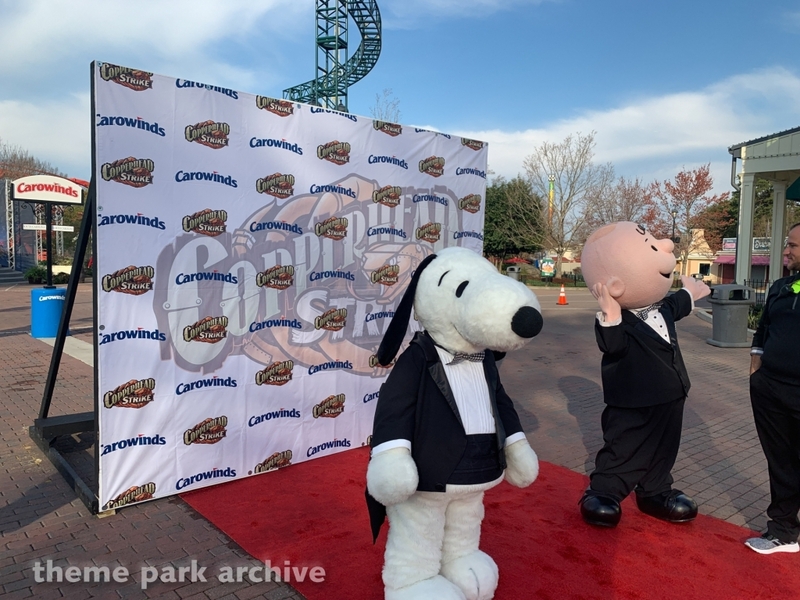 Snoopy and Charlie Brown were there too. 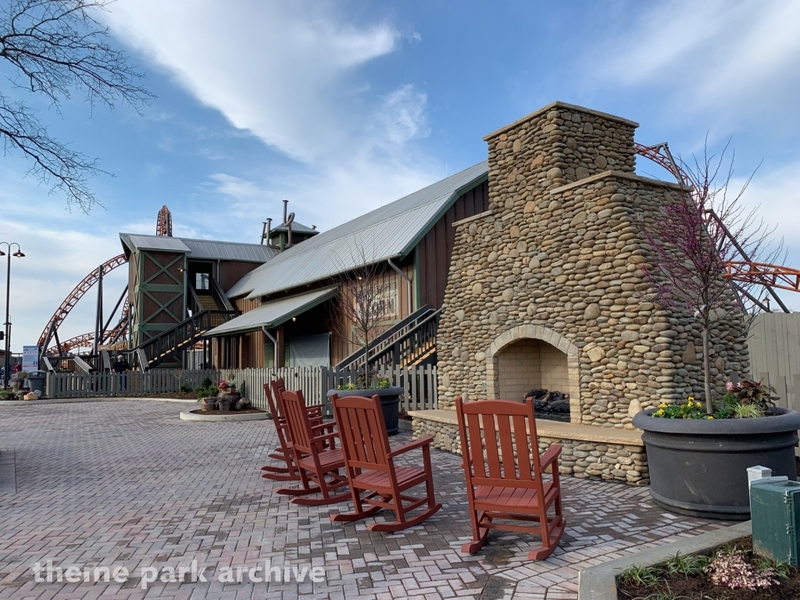 This area of the park was rethemed as Blue Ridge Junction. 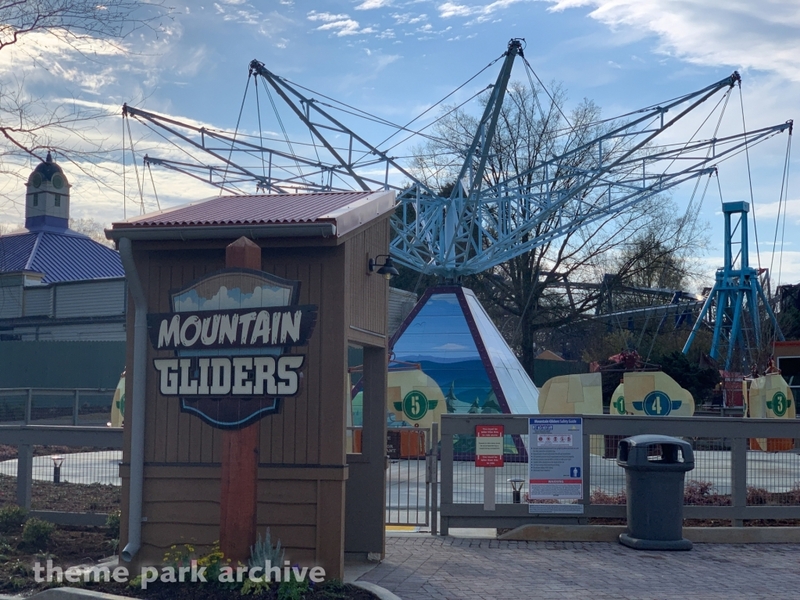 Woodstock Gliders were rethemed as Mountain Gliders. 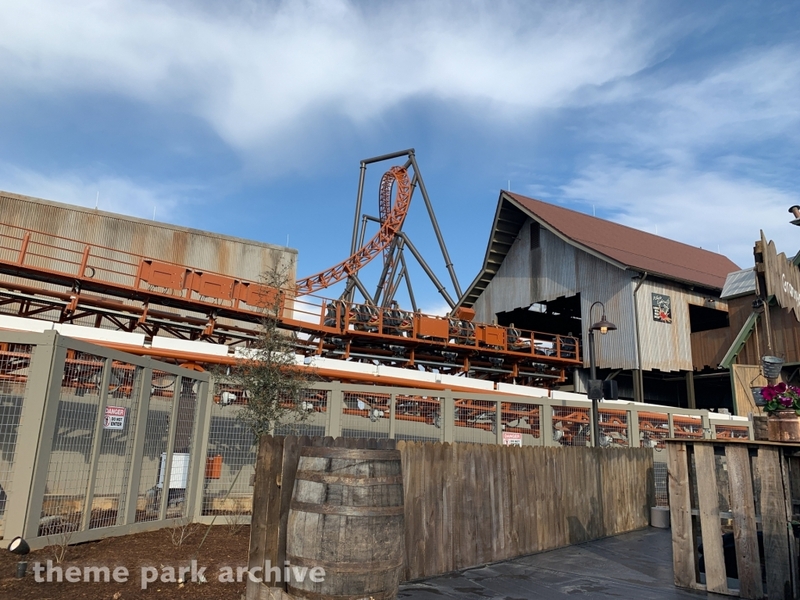 And here is the main event!